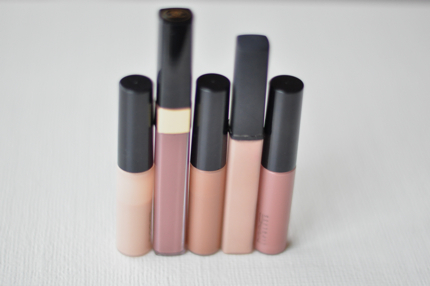 I have had a few readers ask me about the makeup I use so I thought I would start by sharing a few of my favorite lip glosses. When it comes to makeup I believe less is more. I don't buy a lot of makeup because makeup does not have a long shelf life and I end up using my favorite products over and over again anyway. Also I don't have that many lipsticks because I prefer to wear neutral colored lip glosses most of the time. But having said that, I am interested in experimenting more with lipstick colors and would love to know if you have any favorite shades of lipstick.